These next 13 games, or however many he plays in, may be Carmelo Anthony’s last with the New York Knicks. 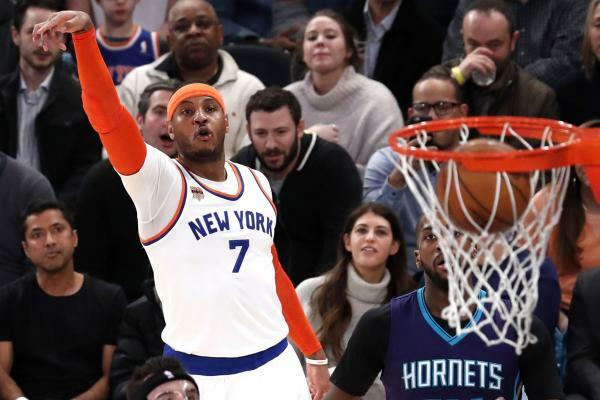 The biggest issue surrounding the Knicks this summer and going forward is Carmelo Anthony‘s future with the club. The Knicks shopped Anthony in trade talks before the deadline and, barring an unforeseen change of course, remain committed to moving Anthony in the offseason, per sources. This was always going to happen, especially because the Knicks’ market for Anthony should change. They were basically limited to the Los Angeles Clippers and Cleveland Cavaliers, and perhaps the Boston Celtics, at the trade deadline. Anthony should be more willing to open up his no-trade clause to more teams after seeing how poorly the Knicks played this season. New York isn’t going to get a king’s ransom for its star. Anthony turns 33 in May and is owed $26.2 million next year. That makes him inherently tough to move. He also has the option of exploring free agency in 2018, and teams won’t fork over a ton of assets for a potential flight risk on the back end of his prime. Still, the Knicks shouldn’t be trading Carmelo Anthony just for the sake of moving him. If they can deal him for expiring contracts, fine. But Anthony is a potentially expiring contract as it is. They have no business taking on longer-term salary for players, such as Austin Rivers, who don’t really move the needle.